Boat & Marine Electrical Work | Specialist Electricians | 50+ Years Exp. Leigh Electrical offer a highly specialist Electricians Service to houseboat owners in London, Essex and across the South East. Our electricians have many years experience in completing complex works in these highly specialised environments. For more information regarding any of these houseboat electrical services, please call us directly on 01702 873350. We hold full NICEIC registration, which covers our work under the NICEIC Platinum Promise 5 year guarantee. The existing wiring systems within houseboats can often be very old and extremely complex. Leigh Electrical possess the skills, experience and equipment to diagnose electrical quickly and to resolve them in an expedient manner. Many houseboats can have trouble starting after long periods of inactivity. Leigh Electrical have assisted dozens of houseboat owners in getting your houseboat mobile again. Please call us immediately if you are experiencing similar issues. We are able to test the on board batteries to see how many calls the battery has been depleted. 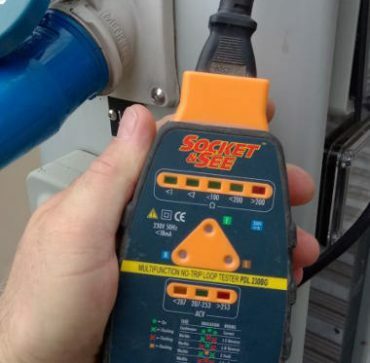 We will be able to assist in the supply and fit of new batteries should they be required and if the current battery is working fine, be able to find and diagnose the real source of the boats power supply problem. Inverters can often be the cause of batteries not charging and loss of power to houseboats. Leigh Electrical can test inverters and carry out any replacement work that is required. For more infromation please call us directly on 01702 873350. Faulty wiring from solar panels can often lead to power failure on board. Leigh Electrical will be able to diagnose this issue swiftly and carry out any repairs should wiring be at fault. As house boats generally operate on DC current , Leigh Electrical are able to perform specialist tests to ensure. Leigh Electrical also offer all of their general electrician services to houseboat owners. With all of these services there are specific needs that houseboat electricians need to adhere to. Leigh Electrical have helped to install, move and replace hundreds of sockets for houseboat customers. With a wealth of expertise in this particular area, Leigh Electrical can help you to swiftly and efficiently increase the availability of power within your boat. Please contact us for further details regarding price and availability. Rewiring on houseboats is a process best handled by electricians with experience in this field. Please call us directly on 01702 873350. CCTV is a great way of increasing security on houseboats. 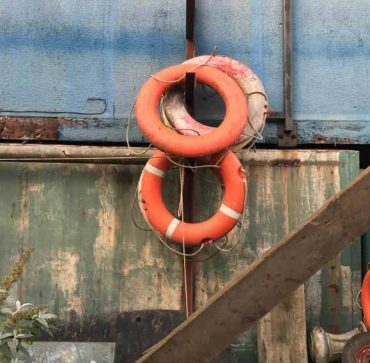 However there are some specific needs for CCTV installations on houseboats that mean an experienced installer should be utilised. For further information, please call Leigh Electrical directly on 01702 873350. Lighting and wiring can present unique challenges when being fitted within a marine environment. With significant experience in this arewa, you can be rest assured that the works will be completed in a cost effective and time efficient manner. For more information on the services Leigh Electrical offer to houseboat owners please phone us on 01702 873350 or submit a contact form below. Why Use Leigh Electrical For Houseboat Electrics? 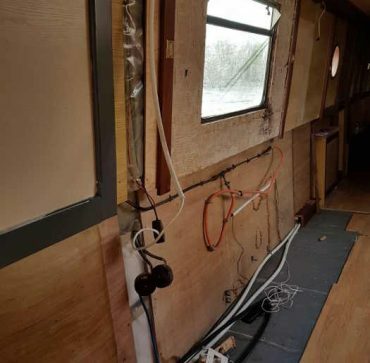 Being based in Leigh-on-Sea with its large Marina Leigh Electrical has often found itself attending Houseboat Electrical related problems over the years. 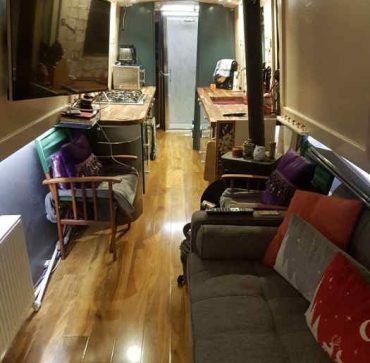 Our reputation for resolving these issues in a cost effective and timely manner has spread and we have become the ‘go to’ company for Electrical repairs and upgrades within the London & Essex Houseboat community. We are well aware of the unique challenges that working in these unorthodox surroundings present and as such are fully equipped to deal with them. For further information on Boat Electrical repairs and refurbishments contact our office on 01702 873350 to arrange a quote at a time that suits you. Our teams of electricians operate 7 days a week for all houseboat quotes and works. The value for money and professionalism of our service has been praised repeatedly by former customers on both Google Reviews and Trust a Trader. Leigh Electrical are also proud members of Trust Mark, the Government backed scheme to help the public find reputable and trustworthy tradespeople.